Delta expands its “Free” GoGo WiFi but is it a good thing? As a blogger and slightly over the top plugged in geek (both my job and hobby require constant web access) I have to say I love the fact that I can be live on the ground and up in the air with Delta. But with Ebay and Google promotions last year the speed got very slow. From what I have been told paying customers will have access to greater bandwidth than free users going forward. We will see. The latest update from Delta is that Amazon shopping will also be free on-board. 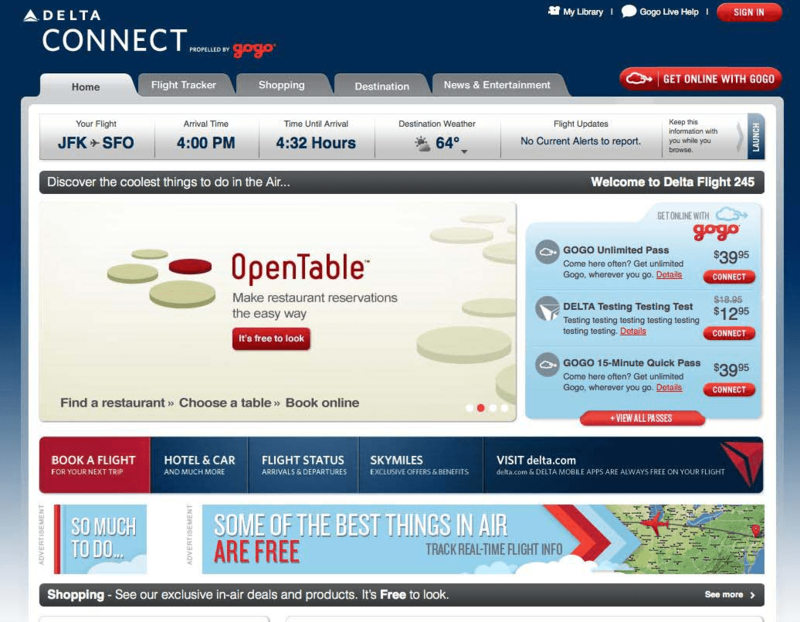 So you can now access Delta, in-flight info, some magazines and shopping with Amazon. Now I do love my Delta but how are they making money at this? Aviation Week had an interesting piece about it here you can review. Airlines have become adept at utilizing every opportunity to add to its revenue stream. After all, once in the “system” it is much like Disney world. Everything you touch, reach for or interact with can add to the bottom line. My big fear is the pay-per-view stuff coming online more and more. I would think (OK I know) this will require a high usage of bandwidth. They are after all a paying customer. But so am I who is NOT streaming a video. Who wins out? Guess! Even a 50-50 split will hurt performance. ← I love flying 1st class no matter what Brian Regan says…. Kind of creepy thing happened with me surfing Amazon via Gogo last week. I log on, start surfing on my iphone, and my seatmate, whom I had been talking to turned to me and said “Are you DavidAL (except with my full name)?”. Kind of weird how she clicked through to Amazon on her iphone, and it said “Welcome back DavidAL (except my full name)” on her iphone. I have no idea how/why/or if it just happened because we were in close proximity. Needless to say, I logged off and haven’t gotten back on Amazon on Gogo on any more of my flights since then. I’m not too worried about the on-demand. I’d be nearly sure that the video would be housed on the plane, not on the ground, so it would just require a little more wifi bandwidth. Wouldn’t slow anything down to the ground. 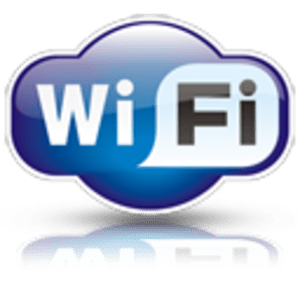 @DL – either way, ground based or plane based, you are using bandwidth from the planes router. Ever been in a full Skyclub? The more on the system the more it impacts performance. DavidAL – sorry to hear about your experience. Something clearly doesn’t sound right about what happened here, and we’d love to chat to figure this out. Please drop me an email at socialaccounts@gogoair.com – would love to chat! As a followup, I was contacted by Gogo, and who knows what happened, but at least they are actively trying to fix any issues. I completely understand that there’s always issues that arise with any company, but it’s how that company responds to such issues that defines them. So kudos to Gogo for being proactive.